This product is made of metal oxides and polyorganosiloxanes with good thermal conductivity and insulation properties. Non-toxic, odorless, non-corrosive and environmentally friendly. 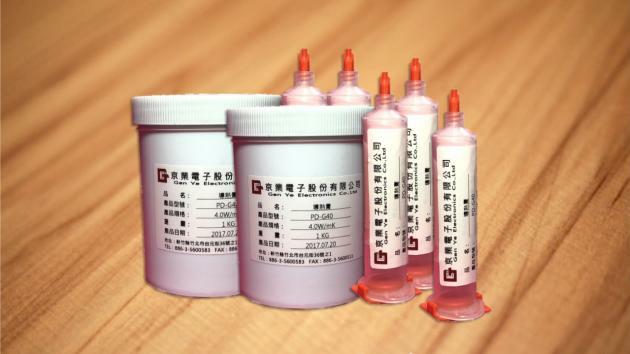 Widely used as a heat transfer medium for electronic components, such as CPU and heat sinks, high-power triodes, controllable germanium diodes and substrate (aluminum, copper) contact gap filling, reducing the operating temperature of the heating element, High viscosity type, especially suitable for manual dispensing. For smoother dispensing, it is recommended to use the iron bar to fully stir 2min2min2min2min before dispensing the machine. Then the thermal grease can be directly extruded on the surface to be coated. Note that the construction surface should be uniform, as long as it is coated with a thin layer. The storage period of this product is 1 year (25°C). Such products are non-dangerous and can be transported as general chemicals. The use of thermal grease is not as good as possible, but it should be as thin as possible while ensuring that the gap is filled.